we can add a handwritten message to the inside of the card for you, or leave below blank to write yourself. 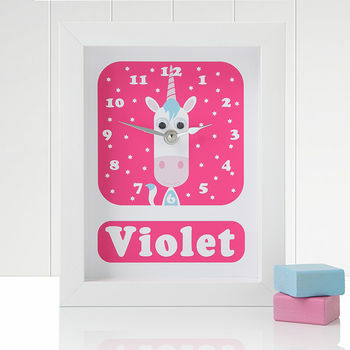 Telling the time can be lots of fun with this cute and quirky personalised framed Unicorn clock. A personalised and framed Stripey Cats Clock is an ideal gift for those special little girls and boys and will look beautiful in a nursery, playroom or bedroom. 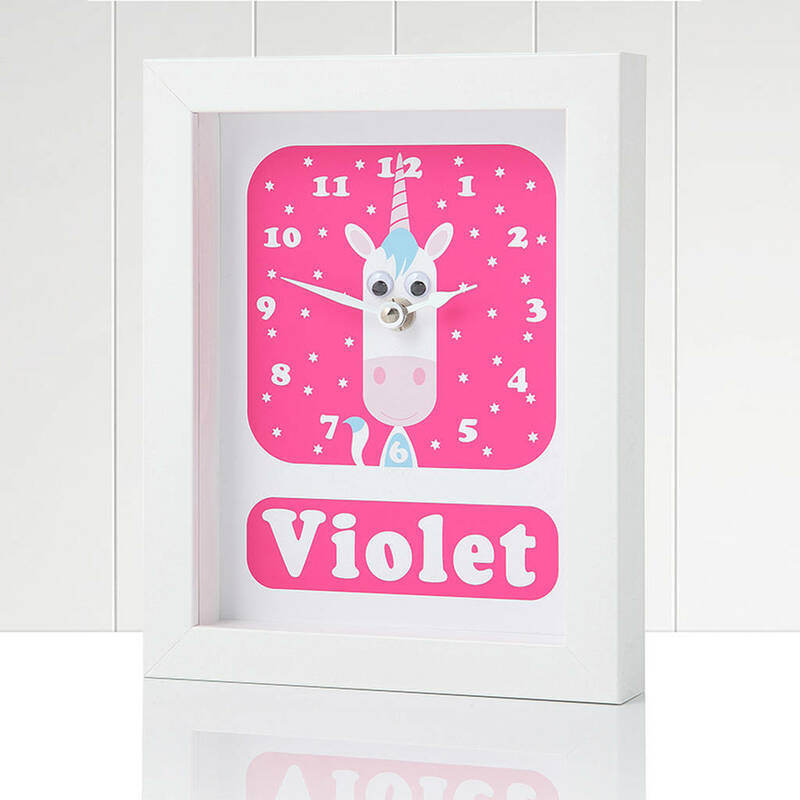 This cute clock is great for birthday’s, christenings, baby showers, Easter & Christmas gifts! 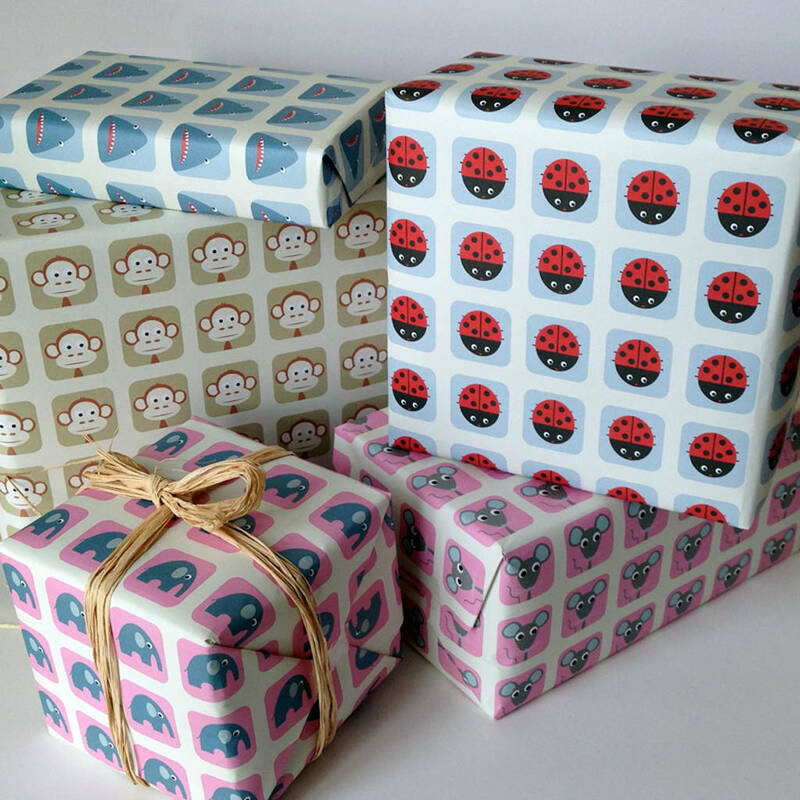 Just give us the name of the lucky recipient and we'll do the rest. Can be hung up (hanging items included) or stood on its side. The clock comes packaged in its own gift box. Matt white frame with a glass pane front. Features a high quality non-tick and non whirring clock mechanism, with silver metal hands. This product is dispatched to you by StripeyCats.